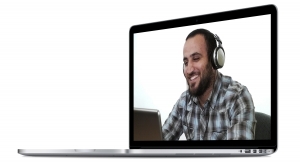 Qasid’s Online Speaking Partner (OSP) connects beginner and advanced students of Arabic with Qasid’s faculty without leaving the comfort of home focusing on pure conversation practice. These informal sessions allows you to connect with our expert faculty without worrying about doing homework or preparing for your lessons but at the same time to keep up or freshen up your Arabic from where you left off. WHAT IS THE ONLINE SPEAKING PARTNER PROGRAM? Qasid’s Online Speaking Partner (OSP) connects you with Qasid’s faculty to practice your speaking skills without leaving the comfort of home. Whether MSA, Classical Arabic, Colloquial Arabic, get access to one of our expert faculty members that have a deep, specialist’s focus that will attend to your learning goals. A collaborative communications platform is used to facilitate interactions between you and your instructor, providing clear audio transmission as well as intuitive, video sharing capabilities. New and current students—as well as alumni looking to build upon their intensive studies at our institute in Amman can now access our expert faculty with a cost that fits your budget. You no longer have to worry about trying to fit your schedule into a Qasid-determined once-per-week group time. With 1-1 sessions, your instructor will have multiple times for you to choose from, and you select one that works for you. This radically simplifies timing, and helps to increase the odds that you’ll be able to make each and every live session. A session with 10 other students means that you need to “share” the instructor’s attention and time. When it is just you, 100% of that time is yours. The benefits increase exponentially. One-on-one means that your instructor can zero in on precisely the language issues and challenges that YOU are having, not what 15 others are having. Finally, 1-1 allows you to move at a pace that works for you. Move faster or slower as you and your instructor determine is best for where you’re at. Busy week at work? No problem – slow things down. Found extra time this month? Fantastic – move ahead at lightning speed. Our registration process is simple yet designed to ensure your needs are fully met. Throughout the application process we’ll ensure that not only are your learning goals met but you can fit your studies into your current lifestyle. The first step is to give us your necessary details, so we know how to best process your application. Please give us detailed information about your previous study of Arabic and the specific details of what you’d like to cover in your private tutoring sessions and your expected goals. If you’re an alumni, please indicate to us when you graduate and what level you graduated from. After you’ve paid your fees, you’ll need to complete a placement exam that will be reviewed by our expert instructors for us to determine your level of Arabic. Please note that if you have graduated from Qasid (online or offline) within the past 6 months, you will not be required to take a placement interview unless you are moving to a different program of study. We will request multiple timings from you in order for us to match us an instructor with your available timings. We recommend you meet twice a week however for students with extremely busy schedule can schedule a class once-a-week. Step #4: Start Your Classes! After we have selected your teacher and your class timings, you will have an academic orientation with your instructor where you will get familiar with the classroom technology and most importantly, you will discuss with your instructor the outline of what you’d like to cover in your OPT sessions. You Can Test Drive The First Lesson of the OSP Program, 100% Risk Free. Our mission is to help you achieve a high level of fluency in Arabic and realize your full potential so you can accomplish your academic or professional goals. That’s why we invite you to take the first session of our program risk-free. If you don’t feel we’ve delivered on our promise within that session, we’ll happily refund 100% of your money. 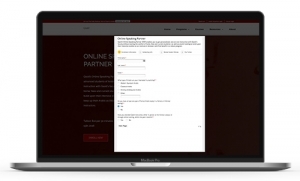 We’ve answered your most frequently asked questions here about whether the Online Speaking Partner program is right for you. We’ve pledged to always be honest with you, and We’ll tell you whether this course is right for you or not. What I've never studied Arabic before? If you’re a complete beginner or only have studied for 1 year at the university level then this program is not for you. We recommend you check out either our MSA or Classical Programs here. Is this just for Qasid Alumni? The OSP (Online Speaking Partner) program is for new and current students—as well as alumni looking to practice upon their intensive studies at our institute in Amman. OSP is ideally suited for those of you who learn best one-one-one, have harried schedules that make intensive studies at our institute in Amman not feasible, and require a class to simple practice their speaking ability. OSP can be used as a supplement to university study, as a full-term class in and of itself, or as a means of getting up to speed before travelling to our onsite campus in Jordan. When can I expect to speak Arabic? We can’t promise you specific results from your studies in a specific timeframe. Nobody can. And you shouldn’t trust anyone who does. Here’s why: We all begin at different levels of sophistication, experience, and skill. We all have different backgrounds. It would make no sense to promise “one size fits all” results just to get you to like me. In fact, we’d rather be honest about the challenging nature of this material, which is why I added lifetime access and ongoing support. If you’re deliberate, methodical, and follow the action steps, you will see results. And looking back, 1-2 years from now, the amount of time you invested will pale in comparison to the recurring rewards you’re accruing. How does the course practically work? The online speaking partner is your opportunity to speak and practice your Arabic through our collaborative communications platform. You can expect to talk about topics that you are interested in or sit back and let your instructor ask you about multiple topic that will push your speaking abilities to the next level. What kinds of things could I cover in these sessions? The online speaking partner program is specifically for practicing conversational Arabic. Students can look to practice conversational topics on any of the core programs at Qasid or topics of interest to the student. These sessions are not for students to students can cover any of Qasid’s 900 hour core programs in MSA, Classical, Ammiya and Arabic for Diplomats. Students interested in specialized training must refer and sign-up for our Advanced Private Tutoring program here. When and how often will my class meet? There is no set class time. Your live sessions are scheduled based on your availability and our instructors availability in Amman, Jordan. Once we’ve agreed on a time, we can meet as often as once a week or more. Is there a limit to how many hours I can take? Your sign-up for as many sessions as you’d like in the speaking partner program. These sessions can either be weekly or daily. However we do have a minimum requirement of taking at-least 10 sessions with one lesson once a week. What are the prerequisites of taking the OSP program? We require all students applying for the program have at-least one year of university level of Arabic or the equivalent before applying. Otherwise we recommend you consider our core MSA and Classical program. For Qasid alumni, we require you have completed at least the foundations program or above before applying. Must I be a graduate of the Qasid Institute in Amman to take this program? No, this program is open to the general public, regardless of where you live. However, students must hold a high school diploma, or the equivalent, in order to register. No special visas are necessary for international students. What times is the program open throughout the year? The OSP Program is open throughout the year for registration however students that apply 2 weeks before Qasid Amman terms dates have a greater chance of requesting either a specific instructor for their study or finding a teacher at their requested time. What should I expect once I complete my payment? What if I try the program and I decide it isn't right for me? 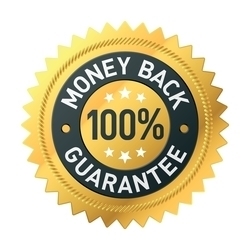 We stand by this program with a 100% money-back guarantee. Because we extensively tested it, we know it works. Try the first session and decide if it’s right for you. However — and this is important — only join if you intend to follow the action steps. This course is not simply to consume information. It’s designed for you to take action. If you ask for a refund, we will require you to tell us what aspects of the program you didn’t deliver. What currency is tuition in? Please note that all pricing is in US dollars (USD). Are you offering an installment plan? Unfortunately, we are not offering any discounts nor instalments plans for the OSP program. We’ve made it extremely affordable for students to have a conversation class for as little as $10/hour. Do I need any special equipment to take these courses? Any internet-enabled device (computer, iPad, phone, etc.) and a high-speed internet connection for your live 1-on-1 sessions. Can I earn a degree or credit towards a degree? Qasid Online courses can be taken for a grade and credit, but that credit cannot be applied toward a degree at the moment. It may be possible to apply that credit toward a degree program at another college or university, depending on that institution’s academic policies. Am I able to get a transcript for my work? Students can request for an official transcript that will outline the course content at the end of their course by emailing online@qasid.com.